Among the many battles and events that took place during World War II, one of the least understood is the so-called Winter War, which took place between Finland and the Soviet Union from November 30, 1939, until March 13, 1940. 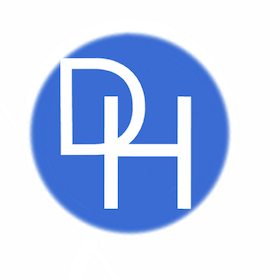 The Winter War happened during the early stages of World War II and illustrated to many in the West the danger of the looming specter of totalitarianism that threatened Europe. In September of 1939, Germany and the Soviet Union, although seemingly at opposite ends of the political spectrum, had worked in concert to invade and occupy Poland. Although the Winter War has largely been avoided in more popular histories of the period, historians have given it a considerable amount of attention, particular concerning the tactics the Finns employed in order to slow the Red Army juggernaut. An examination reveals that the Finns employed many tactics that allowed their severely outnumbered army to thrive in the face of such incredible odds. Finnish success began at the top, where the government allowed their Field Marshal, Carl Gustav Mannerheim, the freedom he needed to be successful. On the front lines, the Finns were able to use the environment, and their knowledge of it, to their advantage. On the other side, the Soviets suffered from extreme micromanagement and a lack of quality officers due to purges carried out by dictator Josef Stalin. Finland and Russia have shared a border for hundreds of years and for most of that time the interaction between Finns and Russians has been relatively peaceful. For most of early modern history, Finland was a colony of Imperial Tsarist Russia. Finns were allowed to serve in the Russia military and were given full rights as Russian subjects, but the situation changed when the Russian royal family was overthrown by the Bolshevik communists in 1917. The Bolshevik hold on Russia was tenuous at best as it fought other political factions within the country as well as foreign powers during the Russian Civil War. Besides the Soviet desire to spread communism by force, attitudes in Finland also contributed to deteriorating relations between the two countries in the late 1930s. For decades, Finnish nationalists and revanchists advocated for the incorporation of all of Karelia, most of which was part of the Soviet Union, with Finland. Although most Finns did not view Karelia so strongly, some groups, such as the Lapuauns, were particularly vocal about uniting what they believed was the Finnish ancestral homeland with the modern nation-state of Finland. The activities of the Finnish nationalists surely rankled Stalin and the Soviet government, but even many of the more mainstream Finnish leaders made the tense situation even worse. No doubt influenced by the vociferous calls Finland’s nationalists, Finnish Prime Minster Aimo Cajander proved to be extremely obstinate in his negotiations with Soviet Foreign Minister Vyacheslav Molotov and was even unwilling to concede to the most modest of Soviet demands. Cajander’s inability to reasonably negotiate with the Soviets was quickly viewed as a liability by many in the Finnish government, who were willing to grant Stalin minor concessions in order to avoid a war. For instance, Mannerheim urged Cajander to cede the Aaland Archipelago to the Soviets, which were of little military or economic consequence to the Finns. Unable to find a diplomatic solution for what they believed were many legitimate issues, the Soviet Union decided to attack Finland at the onset of winter in 1939. When the massive Red Army moved across the Finnish-Soviet international border on November 30, 1939, the Finns were waiting with a well-crafted plan for survival. At the heart of Finland’s wartime strategy was their esteemed field commander, and many would say a military genius, Carl Mannerheim. By the time the Winter War broke out, Mannerheim was already a well-seasoned military veteran who in the early part of his career served in the Imperial Russian army, so he was somewhat familiar with Russian military tactics and philosophy. But even more important than knowing his enemy, Mannerheim was a typical Nordic pragmatist who was well-suited for a campaign such as the Winter War. In the months leading up to the Winter War, Mannerheim crafted a well-thought out military strategy that combined geo-politics with practical battlefield operations. Essentially, Mannerheim knew that tiny Finland could not defeat the Red Army outright, so he developed a strategy that was intended to inflict as many casualties on the Soviets quickly in order to either get them to the negotiating table or to entice a foreign power to join the Finns. One of the most daring applications of this strategy was a December 23 counter-offensive by the Finns that temporarily pushed back the Soviet lines. Although the counter-offensive was ultimately unsuccessful, it kept the Soviet commanders off guard and wondering when and where the next Finnish counter-attack would take place. Besides Mannerheim’s superb approach to the war, the Finns were blessed with a government that did not micromanage the field marshal or his other commanders. The government let the commanders decide the course of the battle, which translated into battlefield daring and creativity. Along with a sympathetic government, the Finnish population overwhelming supported the war effort – even leftists who may have normally supported the Soviet Union fought alongside far-right nationalists on the Mannerheim Line in order to stem the Soviet tide. In terms of battlefield tactics, Mannerheim and his commanders knew that they were at a supreme disadvantage in terms of numbers and equipment so they were forced to be creative and work with what they had. The topography of Finland is perfect for a defensive war and the exceptionally hearty and outdoor-centric Finns used that to their advantage. Finland is full of forests and doted throughout with lakes of various sizes. The heavy forest areas, especially north of Lake Ladoga, proved to be nearly impossible for Soviet tanks and mechanized vehicles to traverse when the Finns sabotaged the roads and the frozen lakes, which the Soviets thought were viable alternatives to the roads in the early stages of the war, proved to be death traps for Red Army columns when the Finns dynamited them sending many Soviet soldiers to frozen, watery graves. 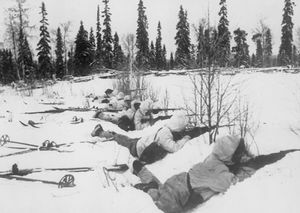 Although several battles took place throughout the northern Finnish-Soviet border, most of the action happened on the narrow land mass known as the Karelian Isthmus. When planning for a potential Soviet invasion months before the Winter War, Mannerheim correctly deduced that the main thrust of the Soviet attack would come north from Leningrad (St. Petersburg) into the Karelian Isthmus towards the Finnish city of Viipuri/Viborg. The Karelian Isthmus is a narrow strip of land, only about 100 miles at its widest point, between Lake Ladoga in the north and the Gulf of Finland to the south. Hundreds of lakes dot the landscape, which Mannerheim knew would prove the perfect spot for a bottleneck. Between the lakes of the Karelian Isthmus, a series of bunkers, pillboxes, trenches, and stretches of barbed wire were erected in order to slow down the Red Army. 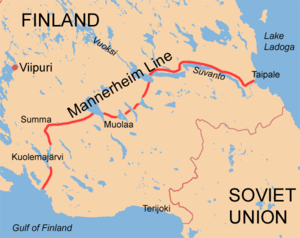 The fortifications became known collectively as the Mannerheim Line for the commander who envisioned it. As the Finnish politicians gave their commanders plenty of freedom throughout the course of the war, the Finnish commanders did the same. 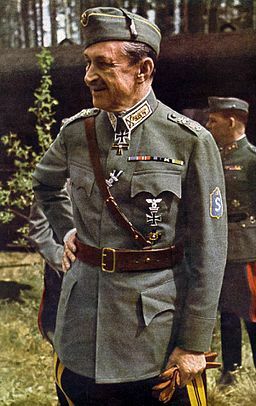 Mannerheim and the Finnish high command encouraged asymmetrical warfare, which resulted in the effective use of ambushes, snipers, small patrols of “tank hunters,” and ruses such as booby traps. Perhaps the most famous guerilla method the Finnish soldiers used was throwing Molotov cocktails, named for the Soviet foreign minister at the time, to destroy Soviet tanks. The nature of Finland’s rough terrain, along with a well thought out strategy and effective commanders were no doubt the primary reasons Finland survived the Winter War, but the Soviets sabotaged their own efforts in many ways. When the Winter War began in 1939, the Soviet Union was at the height of the Stalin era, which is known today for its repression. Among the many groups of people within the Soviet Union who Stalin had liquidated during his infamous purges of the 1930s was the Red Army’s high command. With most of its best commanders either dead or wasting away in Siberian gulags, the Red Army was ill-prepared to pursue a major campaign against most foes, especially one as determined and capable as Finland. Once the Red Army began its invasion of Finland, its high-command looked less like a professional military organization and more like a wing of the Communist Party. Finally, the micromanagement by the Communist Party and Stalin’s repressive tactics on the high-command trickled down and began to take its toll on the rank and file of the Red Army. By late December, the Finnish high-command learned from Soviet POW’s and deserters that the morale of the entire army was particularly low: deserters were routinely shot, units were inadequately supplied with the most basic of necessities, and the high-command was constantly plagued by conflicts with the commissars. Despite technically losing the Winter War, Finland survived and was able to fight on a year later against the Soviet Union in what became known as the Continuation War. Finland was able to survive the power of the Red Army due to a combination of factors. The Finns were blessed with an especially capable high-command that was given free reign by their government to carry out a strategy that utilized their country’s topography and allowed their soldiers to employ guerrilla tactics. On the other side, the Red Army was plagued by politics and purges, which resulted in a lack of morale among their rank and file. Today, military historians often point to the Winter War as a case study of what a modern day David can do against a Goliath.